As the first alumna to head Thacher, Blossom brings an enthusiastic vision to the challenge of shaping the future of teaching and learning, a vision that is deeply grounded in the history and culture of Thacher. In her 16 years at Thacher, there are few areas of school life that Blossom has not been involved in. Beginning in 1997 as assistant director of admission, her other titles have included English department chair, dean of faculty, director of studies, and assistant head of school. 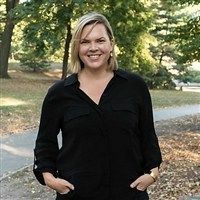 As director of studies, Blossom collaboratively led an evolution of Thacher’s academic program, moving the curriculum and pedagogy toward an even more robust practice to meet the needs of adolescent learners in today’s complex world. In the process, she set the School on a path toward rigorous academics beyond the AP program. She also launched the xBlock elective program, which serves our faculty as an incubator for innovative topics and methods while it provides students opportunities to sample subjects they might otherwise miss. As a teacher and English Department chair, Blossom developed unique English elective courses such as Nineteenth Century Female Voices and ​Mexican American Literature and, in partnership with her colleagues in the history department, designed the junior-year American Studies program. Like virtually all Thacher faculty members, she has also led camping trips, coached, and advised. Before following the path that led her back to Thacher, Blossom earned a BA from Amherst College, where she majored in English and American Studies. She also holds a master’s in teaching and learning from Harvard University’s Graduate School of Education. During a four-year hiatus from Thacher, Blossom taught English at the Viewpoint School in Calabasas, California. Blossom is married to Thacher classmate Brian Pidduck CdeP 1992, teacher, coach, and director of the Outdoor Program at Thacher. They have twin daughters, Addie and Daisy, who are ​ten​ years old. 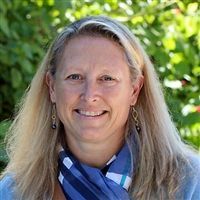 As assistant head of school for student life, Sabina draws on 15 years as dean of students at Thacher and 12 years of experience at Northfield Mount Hermon School in Northfield, Massachusetts as dean, dorm head, teacher, and coach. At Thacher, Sabina advises freshman girls and oversees all aspects of support, resources, and education for the students. She treasures especially the open student-faculty relationships that our small community fosters. Sabina spends her summers as director of Camp Moosilauke in Orford, New Hampshire, a business that has been in her family for several generations. She’s an avid runner and paddle boarder, and she loves reading and spending time with her husband, Bill, and their four boys, Quinn CdeP 2009, Colin CdeP 2011, Griffin CdeP 2015, and Manny CdeP 2015. The McMahons live on campus. 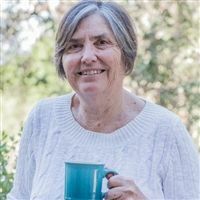 Before joining the Thacher faculty full-time, Alice ran two private preschool/elementary schools—the Emma Willard Children’s School in Troy, New York, and then the Monica Ros School here in Ojai. She brings her love of teaching to the high school level with her class in AP Psychology and her involvement in the team-taught science course, Science and Society, an elective for upperclassmen. A graduate of Smith College, Alice also co-chairs the Senior Exhibition Program and heads the freshman boys’ dorm, where she enjoys welcoming young Toads to Thacher. Alice and her husband, Kurt, have lived at Thacher for 33 years and raised two boys on the campus, both Thacher graduates. In addition to his dean of faculty role, Jason teaches two sections of history, advises junior boys, and leads spirited Extra-Day Trips. While at Thacher, Jason has served as History Department chair, dormitory head for three dorms, and a senior admission officer. He has also developed curriculum for many history courses, including Honors U.S. History and Honors Contemporary Ethical Issues. 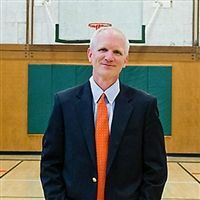 Additionally, Jason has coached the varsity boys' basketball team since 2002 and, in addition to having received league honors, is a CIF Coach-of-the-Year recipient. He lives on campus with his wife, Megan, and their three children.